It was only a few weeks ago that Lycamobile was offering new and existing customers 6GB of data with their $29 plan when they purchased 3 or more month of service in advance. Now those same customers will get 7GB of data for their multi-month purchase. If paid for by the month the plan only includes 5GB of 4G LTE data. Data is unlimited, but speeds get throttled to 2G once the high-speed allotment gets used up. The plan also provides unlimited domestic and international talk and text. New customers to the plan can get 3 months of service for the price of 2. As another bonus, new customers who pay for service 6 months in advance will receive a free LG K4 phone. Lycamobile has also changed the amount of bonus data included with several other plans when purchased in bulk. This plan includes unlimited domestic and international talk and text to over 75 countries. It also comes with a $1.50 bonus international calling credit so you can call countries that are not part of the free 75. The plan normally comes with 1GB of LTE data and had included 3GB of data for purchasing 3+ months in advance. With this offer update, new and existing subscribers will now get 4GB of data when they purchase service for several months in advance. Lycamobile's $35 plan normally includes unlimited talk, text, and data with the first 6GB at LTE data speeds. It also comes with unlimited talk and text to over 75 countries. Now, subscribers that pay for more than 3 months in advance will get 6GB bonus data each month. That means the monthly data allotment for the plan will be 12GB. New customers can also buy 3 months of service for the price of 2. 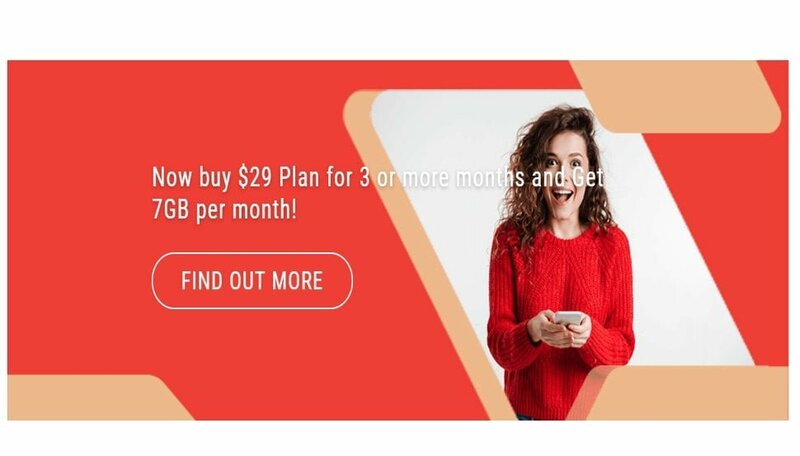 New customers who subscribe to either Lycamobile's $19 plan with 500 MB of LTE data, $23 plan, $29 plan, $35 plan, $39 plan with 5GB of LTE data, or $50 unlimited data plan can get a free LG K4 phone when they purchase 6 months of service in advance. The LG K4 is an older model phone. There are at least 2 versions, one released in 2016 and another in 2017. Lycamobile has not been very clear about which model it is offering. I can only guess that it's the 2017 model that was also offered on Cricket Wireless as the LG Fortune and AT&T as the LG Phoenix 3. Those phones are compatible with Lycamobile's network if unlocked. The LG K4 being offered by Lycamobile likely comes with a Qualcomm Snapdgraon 210 processor and either a 4.5" or 5" 854p screen. It also has 8GB of internal storage an 1GB of RAM. Battery size will either be 1940mAh or 2500mAh. Lycamobile is an MVNO on the T-Mobile network. The company specializes in offering service for those who need international calling or texting. Lycamobile is the official partner of the NFL's Jacksonville Jaguars.